Wize words from deep southern Chile. Free surfers Diego Medina and León Vicuña join chilean surfing pioneer Icha Tapia on trip way south to find empty perfection. Life is simple and good. This is the first chapter of four. Diego Rojas is an actual filmmaker for Haka Honu, a chilean brand that supports free surfers and climbers. From Patagonia to the Mentawai Islands, a short career but long roads and traveling trying to capture simple stories with a sharp eye. All and all a dirtbag with a camera haha. Discover Gold Coast surfer Jon Locke and his unique take on family bonding. Originally from Cottesloe in Western Australia, Jon has spent the majority of his life chasing waves. The freedom, the unpredictability, the escape – there is nothing quite like the exhilaration of riding a wave, says Jon, who has been surfing since he was just four years old. Now settled down and raising a young family, he and wife Nicole – a champion Iron Woman – share their love of the water with their three children, who can often be spotted flying and dancing through the surf on the front of their dad’s board at Currumbin Beach. Creating Within is a short documentary that follows Darius and his lifelong friend, Luke Morgan, on a surfing pilgrimage to remote parts of the South Australian coastline. The trip marked the tenth anniversary of their ‘third musketeer’ Billy Whitton’s death. It captures their journey of filming in the elements, as Within is brought to life from endless beaches, cliff tops, dusty outback roads, sunsets and campfires. Darius reflects on how Billy’s death sparked the beginning of his inward journey, shifting his perspective about what matters in life and expanding his connection to the ocean, into new forms of visual expression. Darius Devas is a self taught filmmaker who has never followed a set path, instead always creating opportunity from the world around him. His latest short film Meeting Susan will have it’s world premiere at the Sydney Film Festival. He also recently released his experimental short Within (narrated by Guy Pearce) at the National Gallery of Victoria as part of Melbourne Now. In 2013 his interactive documentary series This City Speaks received development funding from Screen Australia. Darius’ interactive documentary series Goa Hippy Tribe (2011), won the 2012 SXSW Interactive award for Film & TV and was selected for IDFA 2011. In 2009, Darius directed his first feature film, Further We Search (2009). The lead actor in the film, Xavier Samuel has since gone on to receive Hollywood fame. Success with his travel film One Revolution (2006), gained him work as a content producer with Lonely Planet TV, working on their online TV channel. 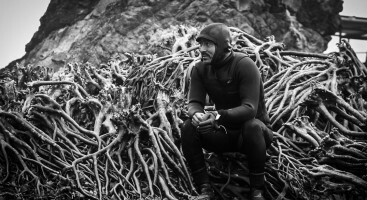 Darius began filmmaking straight out of school in 2003, making a series of surf films, and continues to source his inspiration from the ocean. 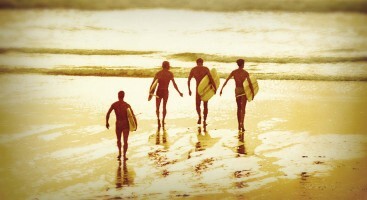 ‘Byron Bay – The Meeting Place’ is an in-depth documentary that explores the journey of Australia’s most talked about town. Byron Bay used to be a small sleepy whaling town and has now grown into a melting pot of different cultures, nationalities with millions of visitors each year. Get to meet the citizens of the sea that have enriched the region’s culture; locals, hippies, surfers, travelers, indigenous folk, and people from all walks of life. Rest Your Eyes Production loves the art of storytelling through moving images, combining quality imagery with creative impact that keeps the viewer hooked. We thrive on concept development and the creative journey turning an idea into a finished product that delivers powerful results for all our clients. Rest Your Eyes Production has worked with a broad range of products and premium brands producing branding campaigns, commercials, events, documentaries, biographies and much more. 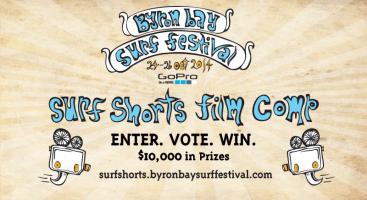 Citizens Of The Sea – Karlee Mackie – Byron Bay Surf Festival 2014 from Byron Bay Surf Festival on Vimeo.